Spiders and Prospects and Content, Oh My! 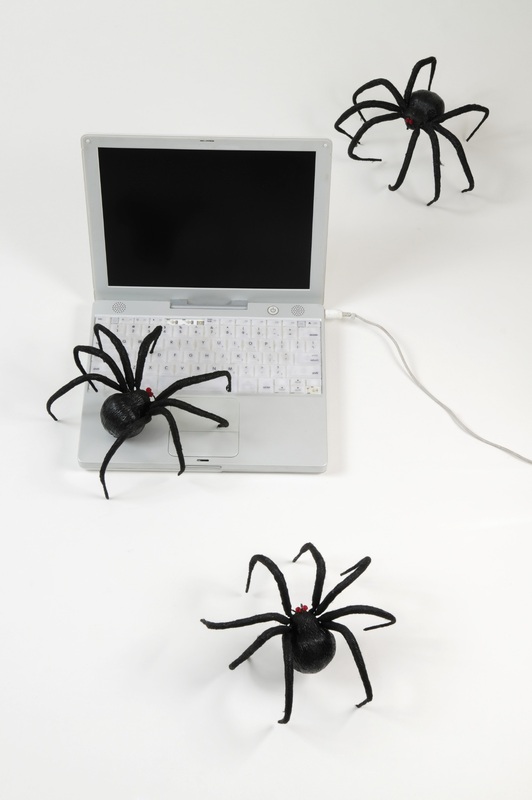 Spiders or “bots” are searching your website and looking at content. What they find determines where you rank on search engines. In turn, prospects turn to search engines to find solutions to their problems or challenges. So the question is, does your content have the right keywords to get a high ranking on search engines AND satisfy prospects who then click through to your website? Therein lies the intersection of the "right write" that balances the needs of both sets of "eyeballs." Content Marketing goes wrong when one or the other aspect is ignored. It's common sense. No one will read your great content if search engines don't find it. But equally important is making sure your content is meaningful once prospects arrive at your website. Let's organize this discussion into 2 parts: Keywords and Content. 1. Identify your buyers. Build a better keyword list by taking a close look at who makes the ultimate buying decision and who influences the buyer. Here’s a template that can help you build your buyer personas. 2. Now that you know who your buyer is, figure out the pain points that lead them to searching for your solutions. The best resource to leverage is existing customers: ask them what words or phrases they used to find your company. 3. Create a list of both short and long-tail keywords. Long tail keywords are phrases or word groups that get more specific about what is being searched. Long tail keywords will have a lower volume of searches, but you can have a better ability to rank highly for those – and you’ll know that when people do find you from that keyword string, they will really be looking for what you have to offer. Don’t be afraid to make this list as long as you can. In the next step you’ll be determining how difficult it will be to improve your search engine page rankings and you’ll want a lot of search terms to evaluate. 4. Run your list through a keyword evaluation tool, like the one provided by Moz. This will show where you and your competitors rank in search results and will also provide a level of difficulty in moving forward in the rankings for each keyword. This is will be essential in choosing the keywords to focus on and to measure your progress in improving over time. 5. Keep updating your keyword list. This is not a set it and forget it activity. 6. Recognize that keywords are only one piece of Search Engine Optimization or SEO. Your ability to attract visitors who not only engage with your content but link to it from other sites and tweet about it on social media all contribute to healthy and vibrant SEO of your website. Content creation is both an art and a science. It starts with analyzing what your prospects and existing customers want to read about at different stages in the buying cycle, identifying keywords, and then writing clear and compelling copy that finds creative ways to present information and that is consistent with your brand voice. Your content should be a dynamic mix that engages prospects with just the right type of information – or offer - exactly when they need it. Here are four key areas to focus on when creating content. White papers and webinars are good examples of high level assets you can offer prospects. Working with a respected industry organization brings added respect to your white paper. It is also fine to "Be the Expert" in your white paper and share best practices based on your long expertise in an industry. What is less effective is constantly referencing your solutions in a "sales centric" way during a white paper. It's no longer a white paper at that point. It's an advertorial. Advertorials are fine as long as they are more of brochure and not an attempt to seem "impartial." No one likes to feel like they are being manipulated. Who DOESN'T search for best practices? Creating Infographics or Top 5/Top 10 lists of best practices are an effective tool for both spiders’ and prospects’ eyes. It can share a mix of your own expertise and links to lists and studies by respected industry organizations and publications. Just be sure you are adding value to the conversation. And keep in mind that outbound links don’t help SEO, however, they may help you get inbound links from other sites and those DO count. And the winner is….Case Studies! We just did a blog last week on using B2B case studies. It's one of the most trusted pieces of content you can offer your prospects. What better way to evaluate your services than to show how your solutions work for other companies? It's ultimate peer approval that demonstrates how your solutions/products work in the real world. Finally, there are two more vital elements to Content Marketing: calls-to-action and a Marketing Automation platform. It's important to create a balance of free resources like your blog and “premium” content that requests the visitor to provide contact information. Calls-to-action offer high value information and collect names of prospects so that you can see where they are in the buying cycle and reach out to them appropriately. Marketing Automation platforms like HubSpot and Pardot provide the tools to track and manage visitors to your site that engage with your content. Digital lead generation for B2B companies requires time and patience. It’s about becoming a trusted online resource for your existing and potential buyers. Determining the right combination of content offerings and then writing to keywords that draws the interest of both electronic and prospect eyes is the essential foundation for success. Providing well-written content that engages prospects to read further once they get to your website is the competitive advantage that pulls buyers through the sales cycle to the decision point. And to understand how quality content and keywords are critical pieces to the Inbound Marketing puzzle, download our Inbound Marketing eGuide.